One of the most amazing things of driving around Texas…being surprised on every street corner! I was driving to a photography assignment way out in the rural area of Richmond, TX., when suddenly I look over and see this amazing WILD WEST sign. It brought such a big smile to my face. Totally depicting the feel of the area. After capturing this image, I got back into the car, and was taken back mentally about the Wild West. It holds a special place in American history—Western films depict it as a place where the rules didn’t apply, and where scores were settled with gun slinging and shootouts. The colorful characters who made up the old West were men, women, cowboys, Indians, sheriffs just plain outlaws. Wouldn’t it been kind of fun maybe even a little interesting to meet…Annie Oakley, Wyatt Earp, Calamity Jane, and of course Butch Cassidy? I remember my parents watching Gunsmoke everyday on the TV! If Gunsmoke wasn’t playing on the TV then a western movie was. They were obsessed with it. Isn’t it amazing just what one sign can do? It brought back all kinds of memories of our history and past. Now for a BIG laugh…after looking at this image you probably thought this was a western ranch right? I went home and goggled this to see the history on it…friends…this is no ranch but a NIGHTCLUB! Can you believe it? Way out in the sticks! This is what their website states…In the heart of Houston’s Richmond strip sits a legend. 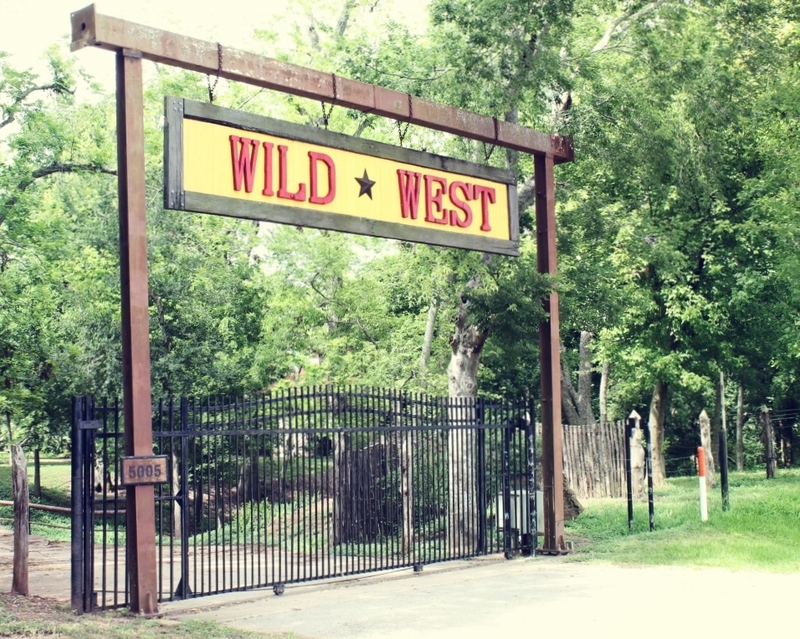 A part of the bayou city for over 30 years, Wild West is Texas…Two-Steppin’ & Longneckin’ is our motto. You want Texas? You want country? Wild West is your answer. Can I tell you how hard I laughed when I found out what this really was?! And to think how far I let my imagination run away with me on nostalgia. Smile. Wow a nightclub club lol. I grew up with a healthy fascination of the wild wild west. Maybe it was all of the episodes of the Lone Ranger that started it. But I then graduated on to reading about Billy The Kid, Doc Holliday or Halliday? ☺And of course the James clan. I would love do one day to visit some of the old ghost towns around because I think that would make for an incredible experience. Just loved your comment….made me smile. My weeks been great so far Laurie, I’ve been tearing my hair out getting book promotion stuff together. I visited San Antonio in 2002 and 2003, also Houston, love the place. I also went to Gruene. The indoor rodeos in San Antonio were great and the Cowboy museum. A nightclub, now who would have thunk that – lol! Enjoyed reading your post..could imagine right along as you described the West. I thought it would have been a ranch. Great capture! Great story. I am a Texas girl too. I enjoyed it! Great shot – hard to believe it’s a nightclub though! I like your version best! Bonanza was a big part of my childhood…Have a great weekend, Laurie. I’ll bet this is a great place, Laurie! One of those fun places that is out of the norm, but one that you would go back to. Now that really was more of a surprise than you bargained for! That was totally unexpected! I am not sure it would fun to meet those persons since they might not want to follow any laws – it might be dangerous. It is always fun when you encounter an unexpected adventure!! How fun! I remember the first “big” chapter book I read as a child was Annie Oakley. I was so enthralled. It was the first book that had me really into it. I adore that you created an entire story line about the discovery. Keep on imagining. Awesome post! You never know what’s right around the corner ….. especially in the big Lone Star State! Great post for the great Wild West! Love it. It’s still a great sign! I’ve been a fan of westerns as long as I can remember. So glad I stopped in today from the Little Things link-up. Blessings! There are a lot of undiscovered places around. Interesting post!